If any of the casting directors for Gotham happen to be reading this in an effort to clear their heads while trying to come up with the perfectly boyish septuagenarian to fill a slot on the show’s currently airing third season, your problems are over. He’s an affable dude who’s been in the business for fifty years, and he’s very familiar with the source material. 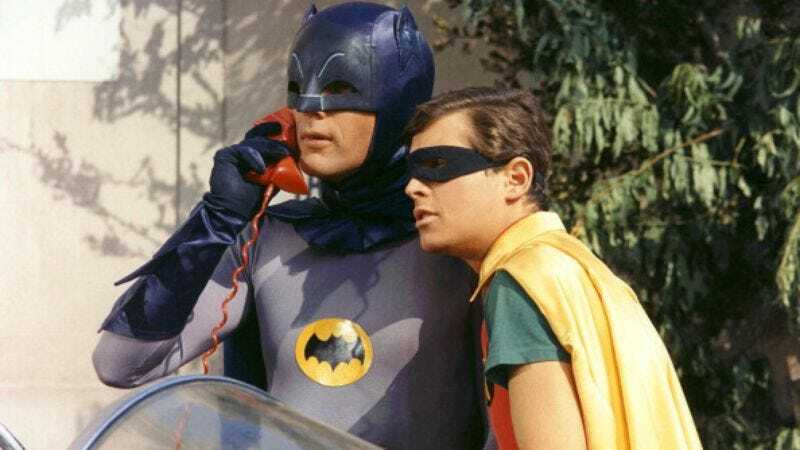 Have you heard of a guy name Burt Ward? Happily, the 71-year-old L.A. native has been keeping busy for the past couple years, with a slight uptick in TV and film gigs, including a reprise of his signature character in the newly released animated film Batman: Return Of The Caped Crusaders and its upcoming sequel. But he will totally make time to do an episode or two of Gotham. Or Modern Family, or maybe that other one that people keep talking about nowadays. The cowboy one. It has a certain ring to it.